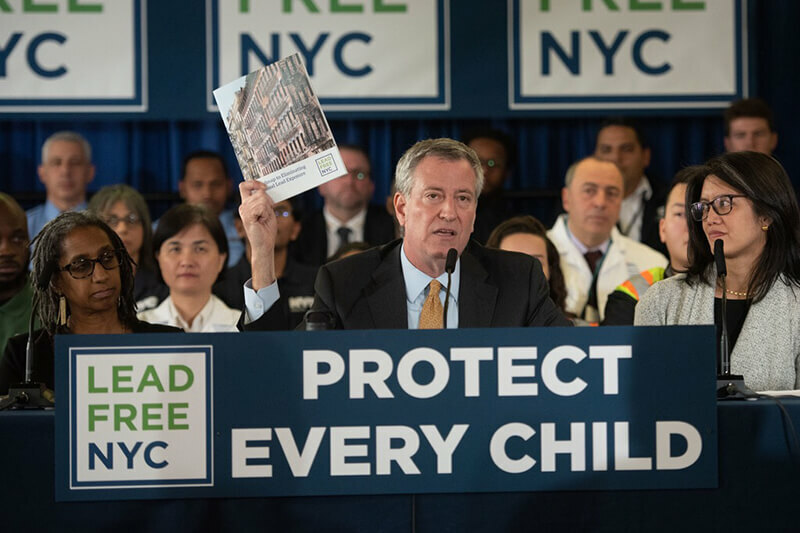 New York City Mayor Bill de Blasio recently announced a new plan to eradicate lead in the blood levels of the city's children. Currently, 97% of children with elevated lead levels in New York City are living in private housing. The plan, dubbed "Lead Free NYC," seeks to address this issue by requiring annual inspections of apartments in one- and two-family homes and testing all New York City Housing Authority apartments. The Authority overseas housing for low- and moderate- income families across the city's five boroughs. Since 2005, the number of cases of elevated lead levels in children under six has already decreased by 90%, but this call for action, which de Blasio calls a "zero-vision approach," goes a step further. "This report today literally is the plan to end once and for all lead point poisoning in New York City," said the Mayor. "There is no city in this nation that has put together a more aggressive approach." Here's to NYC lead-ing the way.